Sweden vs Switzerland is one of the matches in the Round of 16. Both the teams will play to get make their place in the FIFA World Cup 2018 quarterfinals. It is the most watched quadrennial sports event. It was in 1994, a long time back when SWE reached into the quarters of the most prestigious event. But, SUI is waiting for even a longer period of time. It has been good 64 years when Switzerland was the host in 1954 and could make itself a place in the last eight teams. This time both the teams will play without key players. SUI will miss Fabian Schaer and skipper Stephan Lichtsteiner. Sebastian Larsson will be missed in the SWE team. 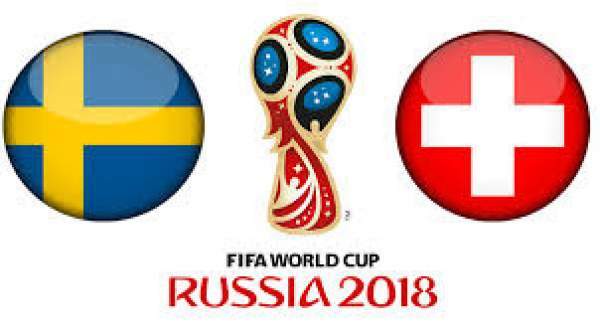 Switzerland will lock horns with Sweden in the last 16 World Cup match. It will be played at St. Petersburg Stadium located in St. Petersburg itself, on Tuesday, July 3, 2018, at 7:30 pm IST. It is going to be an exciting squad as compared to the previous tournaments. However, victory, only, will be the factor for securing a legacy for their ‘Golden Generation’. The Swiss team may be lacking quality, but it is soundly organized and their teamwork has made them overcome their shortcomings. However, the side will now be tested in the absence of captain Lichtsteiner and Schar. Besides them, Switzerland has players like Ricardo Rodriguez, Xherdan Shaqiri, and Granit Xhaka who will be there on the ground playing their trade. So, it all makes a decent chance for the Swiss team to reach into the quarterfinals since 1954. Apart from Swiss, the Swedes have also handled their campaign with a brisk and businesslike efficiency if we can neglect its last-minute loss to Germany by 2-1. It was negotiated with getting victories over South Korea and Mexico. Both of the teams – Swiss and Swedes, scored five goals each in the group stages and escaped with a minimum of trouble. You can watch Sweden vs Switzerland live streaming online on FoxSports.com, Fox Sports Go apps, beIN Sports Connect, BBC iPlayer, fubo.TV, Telemundo, SBS, CTV, CTS, Optus Sport, CBS Sports. The telecast / broadcast of FIFA World Cup 2018 will be on MAX HD 3, Fox Sports 1, BBC1, STV1, RTS Sport.